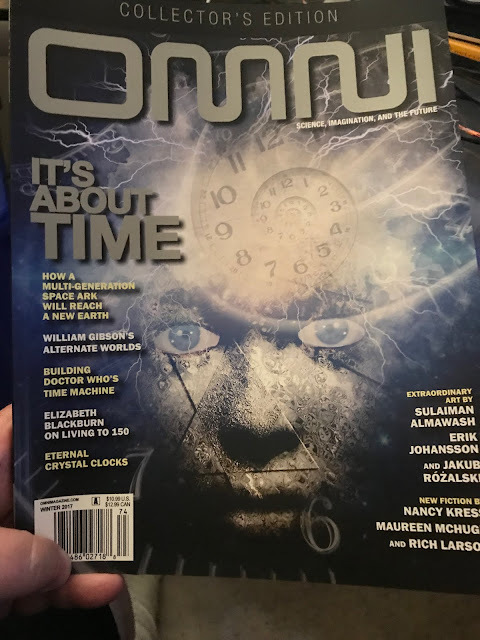 I was a big fan of OMNI back in the 1980s, and today I spotted this on the newsstand at London Drugs. This is the first magazine I've bought in a decade or more. Crazy! If nothing else, new fiction from Nancy Kress will be worth the cover price.